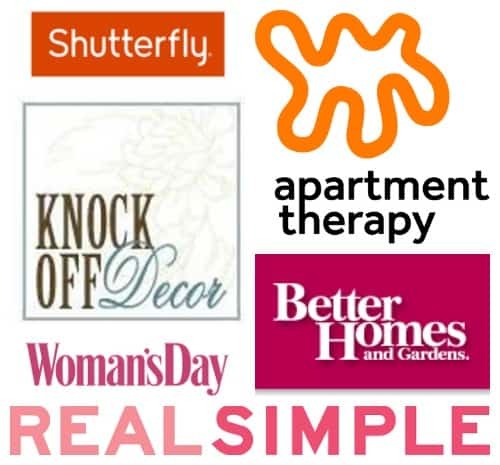 Love Your Space Challenge #19: Conquer Paper Clutter in 3 easy steps!! Howdy! Only two more challenges left! I can’t even begin to tell you how much I have enjoyed doing all of these fun little projects, and not just because I’m a decorating crazy machine, but because of all the motivation and inspiration I had from all of your comments, excitement, and participation. So. Much. Fun. 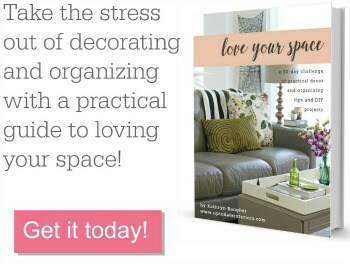 I have a feeling “Love Your Space Challenges” aren’t going away forever… 😉 Speaking of challenges, I hope you were able to repurpose something this weekend, I would love to hear about it! Well, after this busy month, something else is happening next. Up to Date Interiors is almost a year old. Aw! February 2nd is the big day and I have a whole week of exciting posts planned for you the first week of February. Gosh, I can’t believe it’s almost here. Now, on to today’s challenge…. If you have missed any of the previous ones or want to start at the beginning, just click on a link of this long list! Option 1: Get to the source of the problem. Go paperless whenever possible. You can do just about everything online now, so whatever you feel comfortable doing online, do it. I am even slowing transitioning to reading magazines online. If you do enjoy reading and saving magazines (like moi), only keep the ones that you like more than 3 or 4 pages. Otherwise, rip out those pages and put them in a portfolio or scan into your computer. Option 2: Be ready. As soon as you enter the door with any “paper items” in hand, have a place for them to go. We have a recycling bin right outside the door, so junk mail and trash doesn’t even come inside the house. For other items that just need a place to sit until used, read, or filed away, there is a basket right by the front door. (I go through my basket at least once a week to keep it manageable). There you have it, a quick little Monday organizing! Come back tomorrow for our last challenge and then we’ll finish the week with some Valentine’s Day inspired posts. Okay? « My Fave5 finds of the week! Paper clutter is my biggest issue. I do open mail at the trash can, my real issue, FILING I hate it. So it goes in a basket until that is full, then I file. Sad I know. I love your tips and tricks. As a SAHM, having a place for everything is important but I don’t want to sacrifice style to do so. I’m loving the clean looks as well. The baskets are a great idea. I try to set the day before I have to throw out the trash as the take care of paper clutter so things stay under control. I have to recycle my son’s endless drawings and projects from school when he’s not looking. If he sees one of them discarded, he gets so upset. Visiting from SGBC. Great challenge! Mine do too Kimberly! I have a friend who used to nanny and would take pictures of all the kids drawings before they were thrown away and make a photo book for them at the end of the year. Isn’t that a cute idea? So glad you came over Melissa! I just love our first basket from her, so pretty and sturdy. I Love it, it looks great! I am a basket ADDICT lately. I found a beautiful big one for the kids’ toys in the living room and it has made a huge difference. Taking the time to put every toy back in their rooms is a great idea in theory that never seems to happen in practice. Our clutter ends up being the day’s toys out all over. Now, the rule is put it in the basket and pick a new one out. I never would have thought allowing toys in more places could actually end up cleaner – I’m LOVING it. Going paperless has saved me Yvonne! I used to keep everything but I don’t even have to file away bills anymore I have overcome my magazine addiction. lol Good luck!